he format of baseball allows children of different ages, genders, and abilities to all play significant roles in the outcome. A focus on educational achievement through homework assistance, literacy and numeracy acquisition, and scholarship incentives grounds the program as a system-changing model for youth development. Through matches with youth teams from other ethnic and economic backgrounds, a significant cultural divide is bridged, transforming perceptions among young South Africans. Recent efforts to introduce sports in black communities in South Africa have not been followed up with long-term investments of skills and infrastructure. TBA is the first black team to effectively “break the color barrier”, to compete in organized baseball alongside white teams, playing a pivotal, peace-building role in the new South Africa. The Philippi Angels form the traveling-team component of TBA. 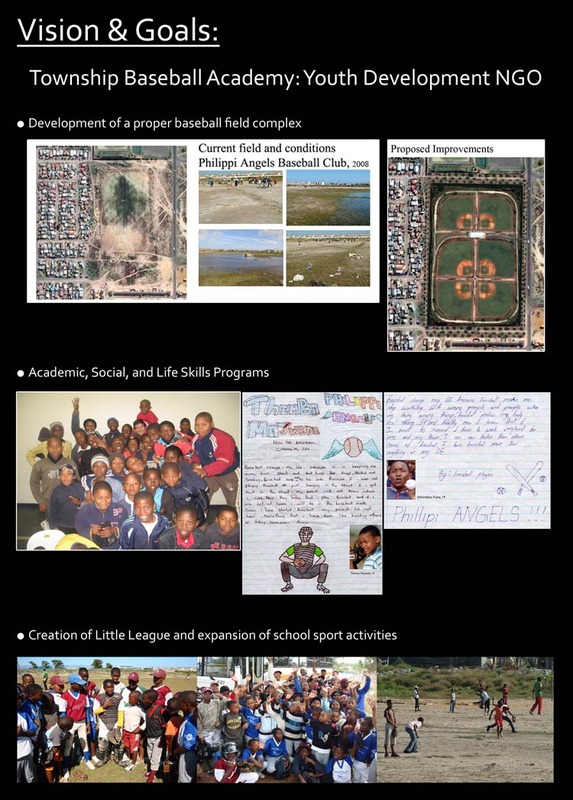 Concurrently, we are creating the continent’s first centralized Little League Baseball Program, maximizing participation and minimizing the need for private transportation, which excludes most South African children from participation in organized sport. More than 8000 children live within 1 mile of our field location. Nearly 600,000 live in neighboring townships. By operating from a central location with 4 fields, classrooms, and an indoor sports facility to be rented out in the evenings to generate sustainable funding, we can offer 8-12 hours/week of supervised recreational and educational activity to over 1000 youths. 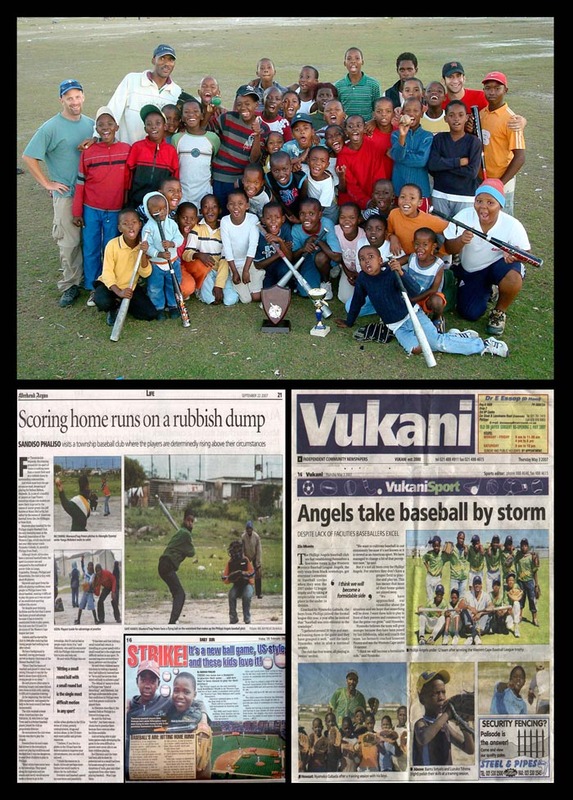 Finally, the interscholastic baseball league and integrated scholarship program signals an extraordinary innovation: the Black South African Student-Athlete.